It all began over a conversation at a family holiday gathering. There was probably beer involved. Okay, there was definitely beer involved. We decided it was time to combine our years of experience in creating great craft beer and our unbridled enthusiasm for drinking it in the most productive way possible. 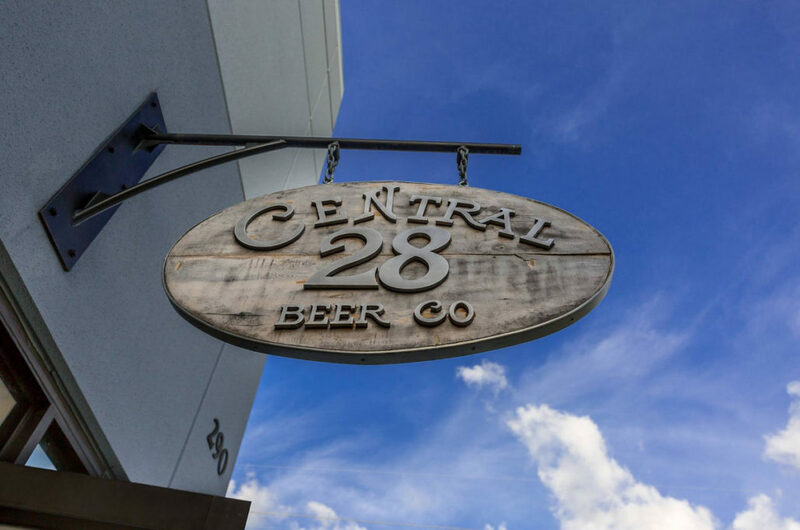 And so, Central 28 Beer Company was born. The location… Where better place to set-up shop than central Florida, where our collective family has called home for years. Geoﬀ has been a professional brewer for over 20 years and is still fascinated by the brewing process, and the unique intersection of art and science that it represents. He is always excited to express his personal and ancestral cultural heritage with beer he has brewed. When someone expresses how much they enjoyed a beer he’s made, he feels it is one of the best parts of his job! Working side by side with Geoff for more than 10 years, Kathy brings her knowledge of brewery management and experience in packaging, sales and marketing of craft beers. Kathy has earned her stripes dealing with the government licensing and regulations necessary to sell craft beer. As lover of craft beer and an experienced business owner, Dan has made his living in Hollywood, making movies. Managing multi-million dollar feature film projects like Hunger Games and The Amazing Spiderman, Dan has a strong understanding of day to day operations and budgeting. Prior to her “most enjoyable ever” job at Central 28 Beer Co., Mary’s creative background included, photojournalist for the Blue Angels Flight Team, former newspaper editor, and YMCA executive director. Mary has a passion for good beer and enjoying the unique blend of patrons who frequent the taproom. She is also a certified yoga instructor, who offers Yoga & a Pint at the brewery each week. Working as a foreman for ten years, Donald is dedicated to hard work and delivering the best possible product. Fueled by his love for great beer, Donald decided to make a career change in 2015, setting his sites on brewing. A home brewer for ﬁve years, his knowledge of beer landed him an internship at Cask & Larder with Larry Foor. Now, he’s a member of our team and loving every minute of it! When he’s not at work, you can most likely ﬁnd him enjoying a round of disc golf. While Ryan may not have been brewery path, we are glad he stepped in when he did! Ryan spent 8 years in the Navy where he maintained airplanes and jets. With his commitment to quality and upholding higher standards, he helps maintain equipment and implement policies and procedures regarding the hardware in the brewery. So in short, a person that ﬁxed jets and airplanes is a great asset to a business with lots of equipment!